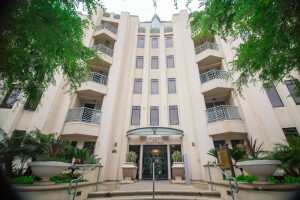 The striking Art Deco-style architecture of the Metro is considered to be a monumental focal point of Playa Vista’s upscale Crescent Park District. These residences are a tribute to the heritage of Southern California architecture of the 1930s and 1940s. Dramatic facades frame the elliptical end of Crescent Park.